We have a new reference book out there for those of you interested in learning more about glass and setting up your studio. 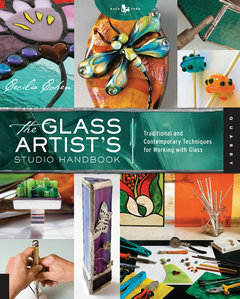 The Glass Artist’s Studio Handbook by Cecilia Cohen, published by Quarry, covers stained glass, fused glass and lampworking and is very comprehensive. You get quite a bit of solid information about setting up your studio, what tools you’ll need and there’s even some projects to do. It’s a well rounded, easy to read book that will give you a great starting point. Add it to your glass reference library!